London Website Optimization is the art of getting your website to feature highly in search engine rankings. It's no good having the best looking website in the world, that's all singing and dancing and fancy if it does not feature within the first few pages (ideally the first page) of Google, Bing, Yahoo or Ask, because no one will get to see it. People searching the web using search engines such as Google generally use 3 to 4 words (we call these KEYWORDS) to find what they are looking for, and unless they are having problems finding exactly what they want, they will generally NOT go past the first few pages of search results given in any search engine or they will adjust their keywords they're using TO FIND EXACTLY what they are looking for. So if you are looking for the best website optimization London you're at the right place. I'm number one for a reason, I do not spam your website with long winded emails telling you what your not doing or what I can do for you. 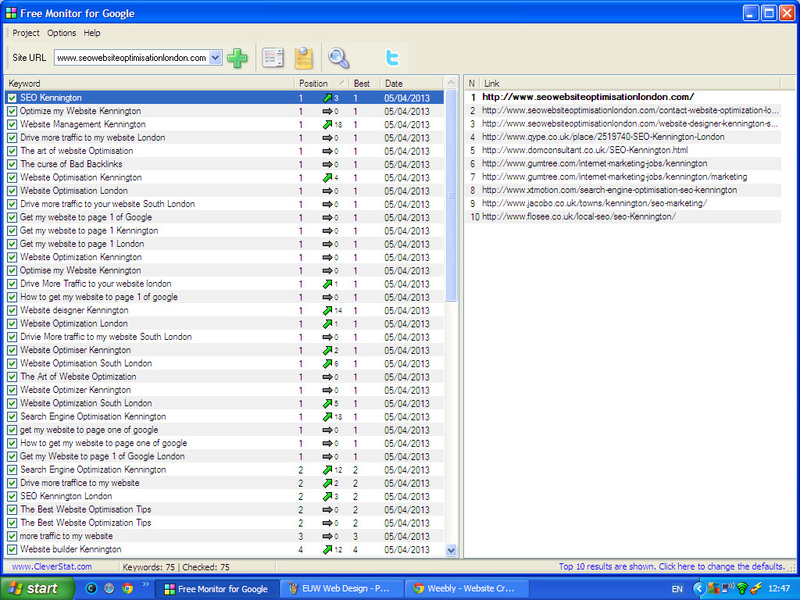 I believe "the proof is in the pudding" And that's why I'm No.1 for most of my businesses keyword search terms. This should show you exactly what I can do for your business or company. Websites are an online portal for people requiring services that you potentially have to offer, but unless they know your company by the exact name it can be very difficult for them to find your services on the world wide web among all the other business and websites that possibly offer the same or similar products or services. And if you wish to attract new customers and grow your company this is how the majority of people will find you now! A website that appears on page one in the search engines is key to attracting new customers & increasing your business on and offline. These days every one with a bit of knowledge or help or perseverance can produce a good looking website but unless you have regular visitors to your site what is the use? A website appearing in the first few pages of Google is a necessity to any company. The higher your website appears in Google the better and the greater the likelihood people will find your company! And this is what we call website optimization! ..This is what I specialize in, but in addition I can also create and design a website for you, which is in a lot of ways much better and easier because many of the optimization issues I come across are skipped if I do it initially! I promise no quibble page 1 optimization results for your chosen words for your website even if you have an existing website. Act now and get your website up the rankings and into the first page of Google Today. Yeah and No. The main problem we / you have is that there are hundreds of businesses on the web trying to vie for the same keywords and ultimately to appear in page 1 of Google. And once you have achieved a page 1 listing with your desired keywords you may need to adjust your website now and then to continue up there and keep competing against them and other new websites that constantly appear. Additionally search engines constantly change the way they rank websites and their content. And therefore you may need to adapt your site to keep up to date with those changes or to take advantage of these changes. 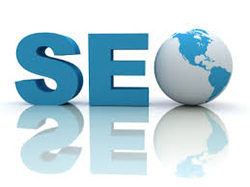 For a new site or if I have not worked with you before, then first of all order the Full SEO & Setup Service. Then once you're happy with the results that's it, or if you need more keywords ranked and better serps then order a Top Up SEO service. No contracts and no long term commitments, I tell you what I will achieve and I don't stop until I do that, with no extra fees if I don't achieve our agreement on time. I keep working on your website until I have done what we have agreed.